Calls for development programs to ‘think and work politically’ have led to a proliferation of literature capturing examples of attempts to do this in practice. A new paper highlights learning from the Pacific Leadership Program (PLP) of the Australian Department of Foreign Affairs and Trade on how donors can think and work politically to support developmental change through local leaders and coalitions. It also illustrates how thinking and working politically (TWP) can be applied in support of gender issues and in the Pacific context. The paper examines the PLP’s support for four coalitions in the Pacific and reveals that how these coalitions have formed and their ways of working do not always fit conventional wisdom about how change happens. For example, effective leaders and coalitions were those with the interest, power and ability to influence change. They were not necessarily inclusive either in approach or membership, nor did they always fit external ideas about what developmental leaders should look like. It wasn’t necessary for all members of a coalition to contribute equally – or even for all of them to know that they were part of a coalition. In looking at how PLP puts TWP into practice, we can see significant similarities between its approach and that of other programs attempting to do development differently. For instance, PLP hires politically astute Pacific Islander staff who have significant formal and informal networks in the countries they work in, that expatriate staff simply do not possess. They then use these networks and local knowledge to identify the leaders and coalitions PLP might support, rather than using a competitive call for proposals which might undermine local cooperation and skew local priorities. PLP support is low profile, working formally and informally behind the scenes, allowing local actors to drive the process. For instance, when considering what action to take in Tonga, PLP brought together a range of local leaders to brainstorm. PLP convened this group but did not itself participate – resulting in a locally owned and led coalition for improved leadership in Tonga. Rather than starting with pre-determined solutions, PLP adopt a ‘purposive muddling’ approach, supported by periodic reflection, to challenge ideas and refine approaches. While much of this is increasingly familiar, PLP has broken some new ground in how these ways of working apply in relation to gender issues and the Pacific. A lot of programming that aims to ‘think and work politically’ or ‘do development differently’ starts from a recognition of the need to ‘work with the grain’ of the societies where the programs are delivered. Yet the goal of supporting politically feasible reforms can lead to an acceptance of elite priorities and agendas. While this might be expedient, it can mean that issues like gender equality – rarely a high priority of (generally male) elites – are neglected and seen as ‘not the place to start’ in supporting developmental change. PLP provides some interesting examples of how donors can respond to this challenge. The program has backed both female leaders in the formal sphere with an interest in challenging the status quo, and also female leaders in the informal sphere who have exercised soft power to effect change. PLP has, for instance, supported the achievement of Temporary Special Measures that reserve a minimum number of seats for women in municipal councils in Vanuatu. PLP has also supported a civil society initiative led by a local woman promoting the economic empowerment of women in a remote island of the Solomon Islands, an example of how informal spheres of leadership, where women often play prominent roles, can offer an entry point even when women have limited formal representation. Examples of programming in the Pacific are conspicuously absent from the existing literature on TWP. How does the regional context affect efforts to put TWP into practice? The small populations of Pacific island countries mean networks tend to be particularly dense and overlapping. Perhaps reflecting this, most of the coalitions supported by PLP have had fluid and evolving membership. Small, closely knit communities have made it easier for PLP to identify and access key leaders, but also pose difficulties. The efforts of Pacific change-makers are likely to be more noticeable, but may by the same token spark more resistance. Among those who try to support change processes, the professional relationships they must manage are much more likely to be also personal or even familial. Both negotiating and ending funding, for instance, is therefore likely to be complicated. A supportive donor environment is centrally important for TWP. The early phases of PLP benefited from co-location of donor and managing contractor staff in a single office, which opened up communication and provided faster feedback loops that allowed swift decision-making and calculated risk-taking. Since co-location ended in 2013, the room for flexible ways of working has become more restricted. This is apparent in the tension that PLP has faced between keeping a low profile to protect its operating space, and finding ways to communicate results to build greater donor appetite for flexible approaches. 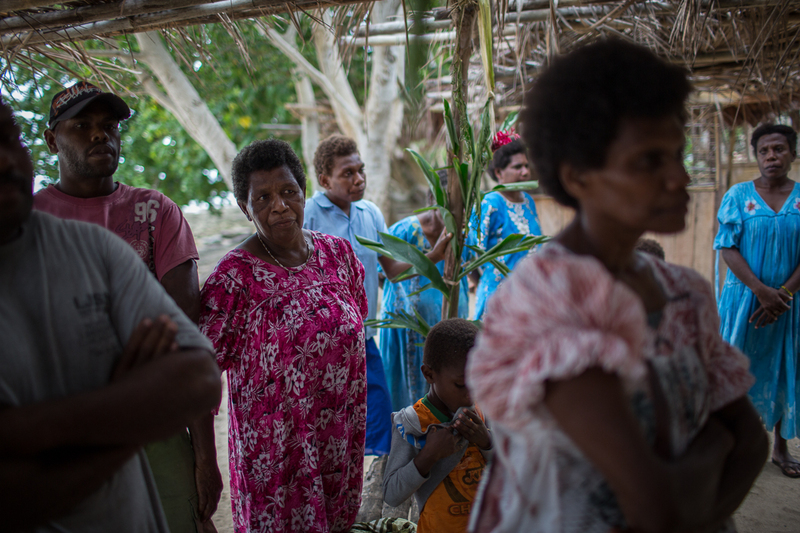 Even so, PLP’s work demonstrates that these difficulties can be overcome, and donors can think and work politically to support developmental change – including on gender issues – through leaders and coalitions in the Pacific. While the region’s small, closely knit communities present some unique opportunities and challenges for TWP, the lessons from PLP’s experience are nonetheless of broader relevance. 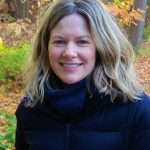 Lisa Denney is an independent researcher based in Melbourne and is a Research Associate with the Developmental Leadership Program and Overseas Development Institute. Rebecca McLaren is an independent researcher and consultant based in Melbourne and is undertaking postgraduate research at La Trobe University. Rebecca McLaren is an independent researcher and consultant based in Melbourne and is undertaking postgraduate research at La Trobe University.